Denise Levertov was born in Ilford, Essex, England, on October 24, 1923. Her father, raised a Hasidic Jew, had converted to Christianity while attending university in Germany. By the time Denise was born he had settled in England and become an Anglican parson. Her mother, who was Welsh, read authors such as Willa Cather, Joseph Conrad, Charles Dickens, and Leo Tolstoy aloud to the family. Denise was educated entirely at home, and claimed to have decided to become a writer at the age of five. When she was twelve, she sent some of her poetry to T. S. Eliot, who responded with two pages of "excellent advice," and encouragement to continue writing. At age seventeen she had her first poem published, in Poetry Quarterly. During World War II, Levertov became a civilian nurse serving in London throughout the bombings. She wrote her first book, The Double Image, while she was between the ages of seventeen and twenty-one. The book, released in 1946, brought her recognition as one of a group poets dubbed the "New Romantics." After her move to the U.S., Levertov was introduced to the Transcendentalism of Emerson and Thoreau, the formal experimentation of Ezra Pound, and, in particular, the work of William Carlos Willams. Through her husband's friendship with poet Robert Creeley, she became associated with the Black Mountain group of poets, particularly Creeley, Charles Olson, and Robert Duncan, who had formed a short-lived but groundbreaking school in 1933 in North Carolina. Some of her work was published in the 1950s in the Black Mountain Review. Levertov acknowledged these influences, but disclaimed membership in any poetic school. She moved away from the fixed forms of English practice, developing an open, experimental style. With the publication of her first American book, Here and Now (1956), she became an important voice in the American avant-garde. Her poems of the fifties and sixties won her immediate and excited recognition, not just from peers like Creeley and Duncan, but also from the avant garde poets of an earlier generation such as Kenneth Rexroth and William Carlos Williams. Her next book, With Eyes at the Back of our Heads (1959), established her as one of the great American poets, and her British origins were soon forgotten. She was poetry editor of The Nation magazine in 1961 and from 1963 to 1965. During the 1960's of the Vietnam War, activism and feminism became prominent in her poetry. During this period she produced one of her most memorable works of rage and sadness, The Sorrow Dance (1967), which encompassed her feelings toward the war and the death of her older sister. From 1975 to 1978, she was poetry editor of Mother Jones magazine. Levertov went on to publish more than twenty volumes of poetry, including Freeing the Dust (1975), which won the Lenore Marshall Poetry Prize. She was also the author of four books of prose, most recently Tesserae (1995), and translator of three volumes of poetry, among them Jean Joubert's Black Iris (1989). From 1982 to 1993, she taught at Stanford University. She spent the last decade of her life in Seattle, Washington, during which time she published Poems 1968-1972 (1987), Breathing the Water (1987), A Door in the Hive (1989), Evening Train (1992), and The Sands of the Well (1996). 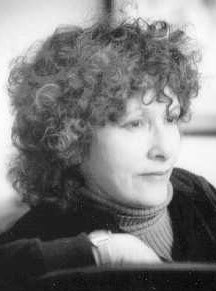 In December 1997, Denise Levertov died from complications of lymphoma. She was seventy-four. This Great Unknowing: Last Poems was published by New Directions in 1999.